This 3 bedroom apartment with swimming pool is located in Saint-Alban-Auriolles and sleeps 6 people. It has WiFi and air conditioning. Mobile home, 6 people, 4 room/s, 3 bedroom/s, 2 bathroom/s, approximately 42 m², 1 floor/s, year of construction 2018. Feature: Property in a club complex. Equipment: TV; internet access Wi-Fi (included); safe; electric radiators; combined heating/air conditioning (in the living room). Estate (shared use with holiday guests): approximately 15 ha, open plot. Pool (shared use): 16.0 x 8.0 m, open throughout the entire season, heatable, roofed, children's pool. Pool 2 (shared use): 22.0 x 11.0 m, open throughout the entire season. Pool 3 (shared use): 620 m², open throughout the entire season, children's pool, slide. Pool 4 (shared use): 350 m², open throughout the entire season, roofed. Sports facilities/ leisure time: shared use (payment): tennis, horse-back riding. Shared use (free of charge): volleyball. Day care: included: animation for children (approximately July/August). Infrastructure: reception; washing machine (coin-operated); TV room. Restaurant, snack bar, food shop (available during the whole season); Discotheque (approximately July/August). Plot description: private part of the estate approximately 120 m², open plot. Terrace 30 m², furnishing provided. The apartment is described as good value for money. 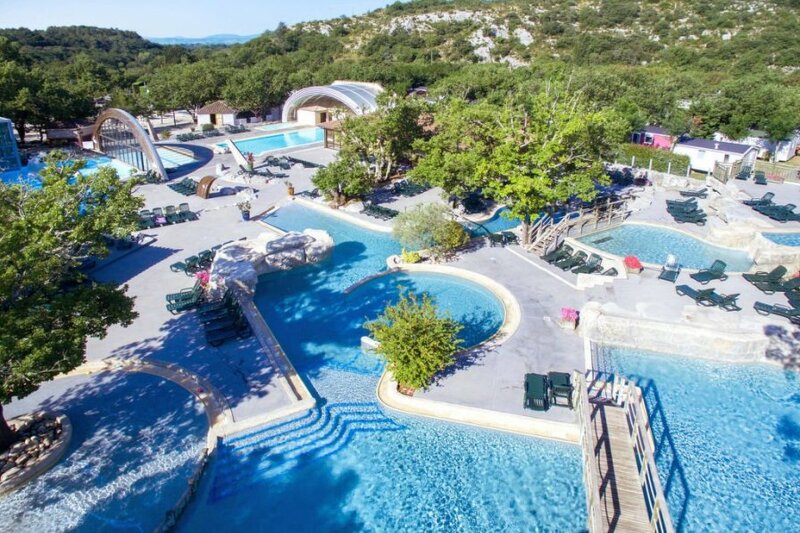 It has a swimming pool and is located in Saint-Alban-Auriolles. The nearest airport is 142km away. It is set in a very convenient location, only 2km away from the city center. The apartment has free wireless internet. The apartment is well equipped: it has air conditioning, a dishwasher and a washing machine. The property has a sauna; it also has a tennis court.